Anion gap | EM, etc. Listened to my first EM podcast as part of my #50Podcasts plan for 2014. 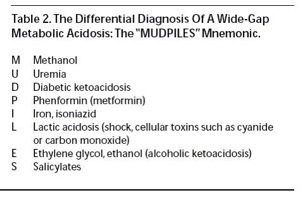 It was ER Cast from December 2013 where they discussion anion gap metabolic acidosis. Everyone should know MUDPILES – listen to the host dissect the scenario of DKA vs AKA. ER Cast is available here.